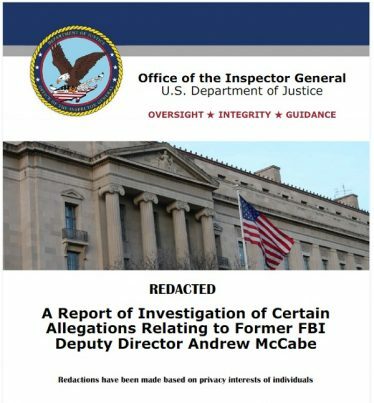 The investigative report concludes that Andrew McCabe - who spearheaded the "deep state" operation to cover up the crimes of Hillary Clinton while falsely accusing President Trump of colluding with "the Russians" - lied under oath and violated FBI Offense Codes 2.5 and 2.6. Labeled "misconduct" in the report, McCabe's behavior may subject him to criminal indictment. 14. McCabe refused to sign an inspector's notes about his statements to the inspector, specifically noting that he [McCabe] did not know who leaked the information in the WSJ October 30th, 2016, report. 1. The tone of the memo chastises McCabe for leaking that the Clinton Foundation investigation was open, not to challenge the rationale for not sharing this investigation with the public, but rather criticizes McCabe for outing the Justice Department official trying to shut down the investigation. Although perhaps it may not be customary to challenge the Departments' decisions, due to subject in the investigation [the Clinton Foundation], by not releasing the information about the investigation the FBI and DOJ prevented pertinent information from being reported to the American public significant to the election. This information was not released until October 30th in a leak to the WSJ. 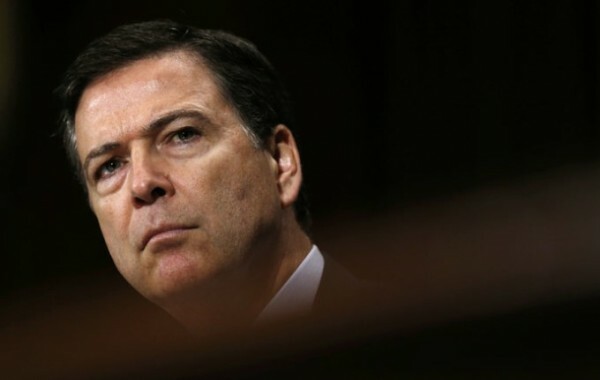 There are numerous contradictions between FBI employees and each other and with DOJ employees. The FISA Court report on FISA abuses stated that James Clapper's NSA had an institutional "lack of candor". It is clear from this report that the FBI and DOJ have the same lack of candor.